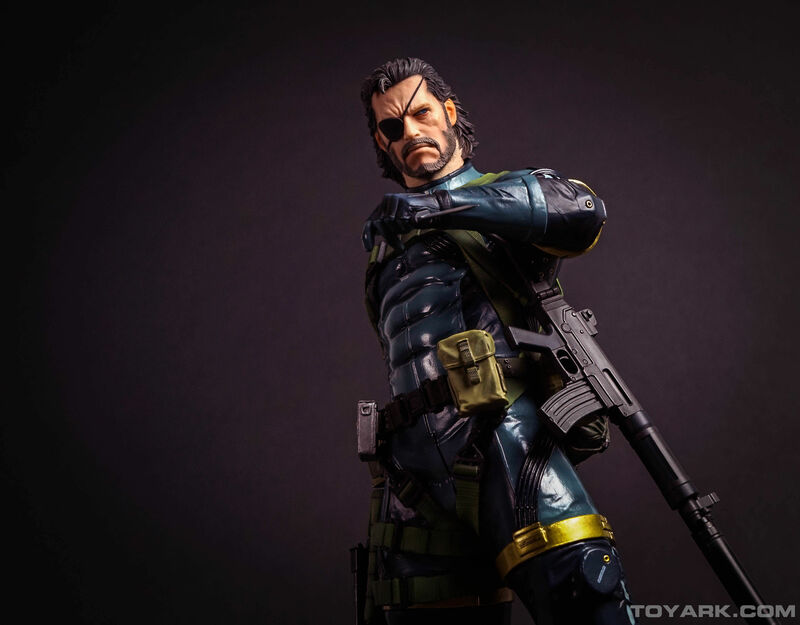 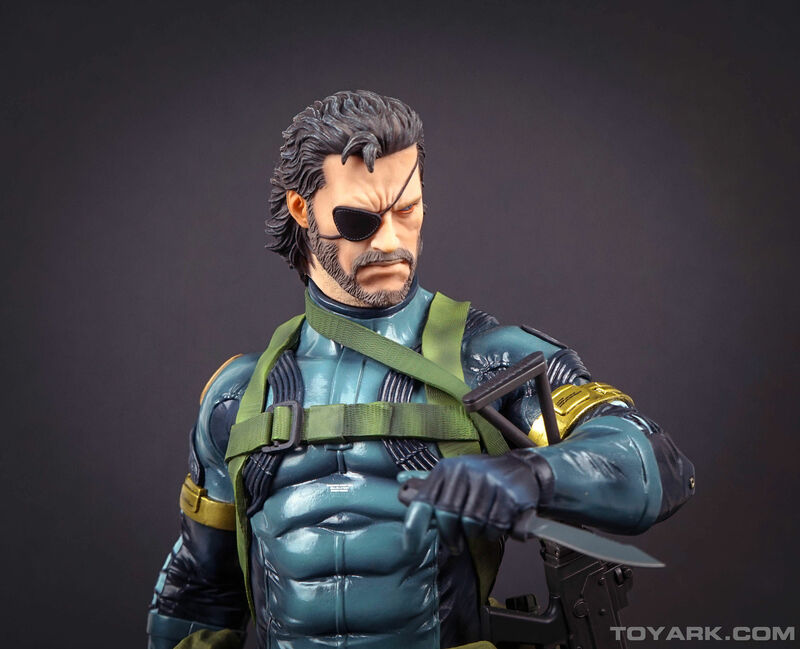 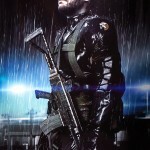 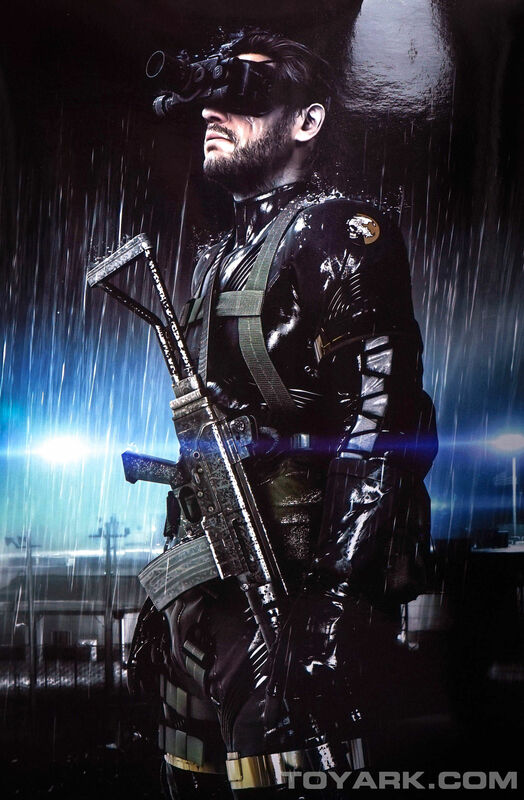 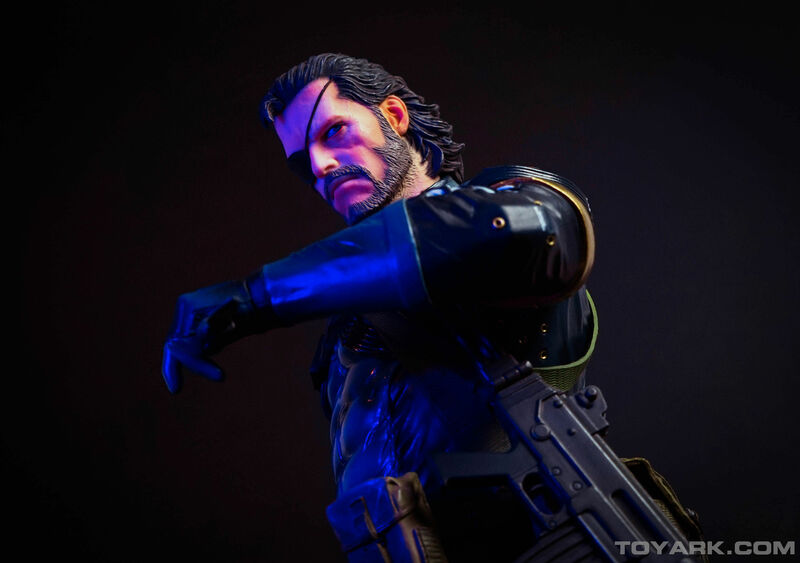 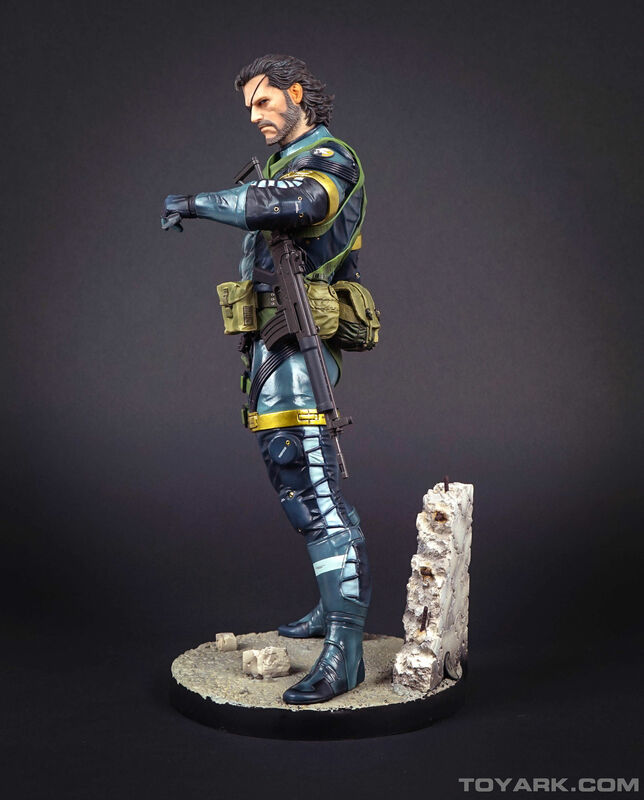 This version of Snake, aka Big Boss, is from Konami’s Metal Gear Solid V: Ground Zeroes video game, which was released in March 2014. 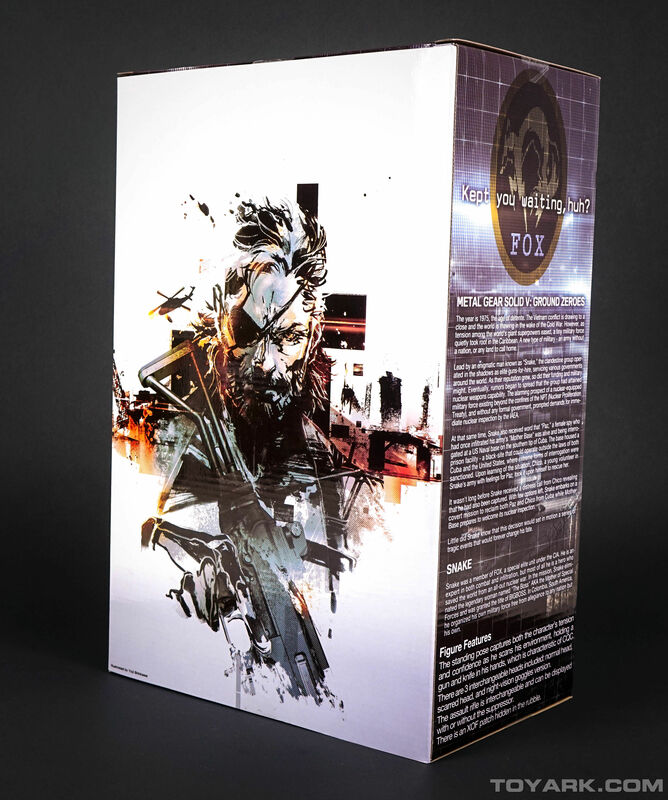 It’s the prologue to the highly anticipated Metal Gear Solid V: The Phantom Pain. 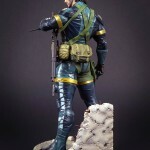 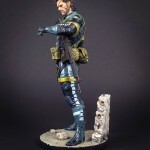 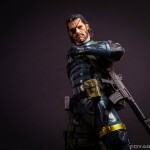 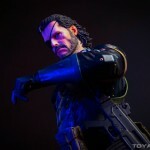 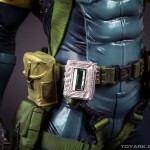 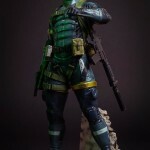 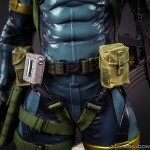 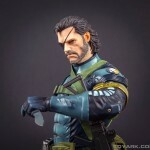 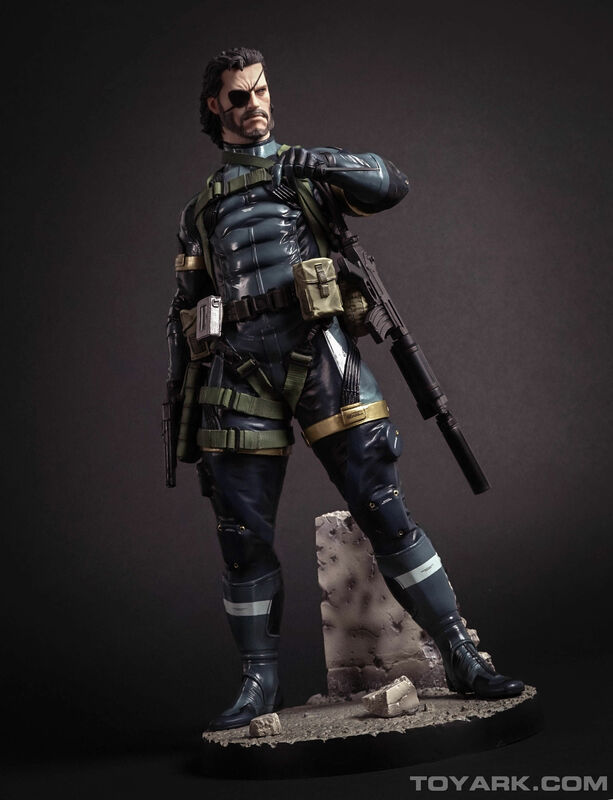 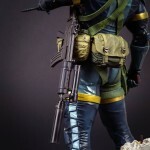 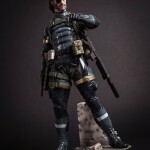 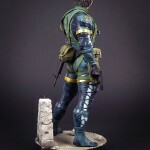 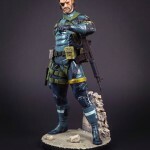 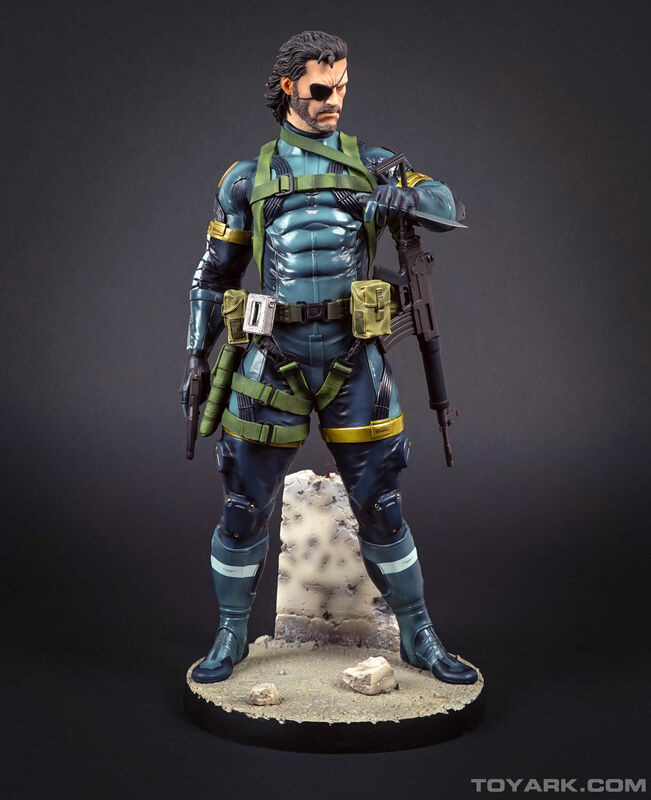 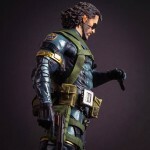 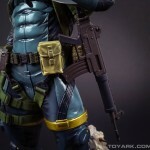 Gecco’s statue depicts snake as seen during the in-game missions. 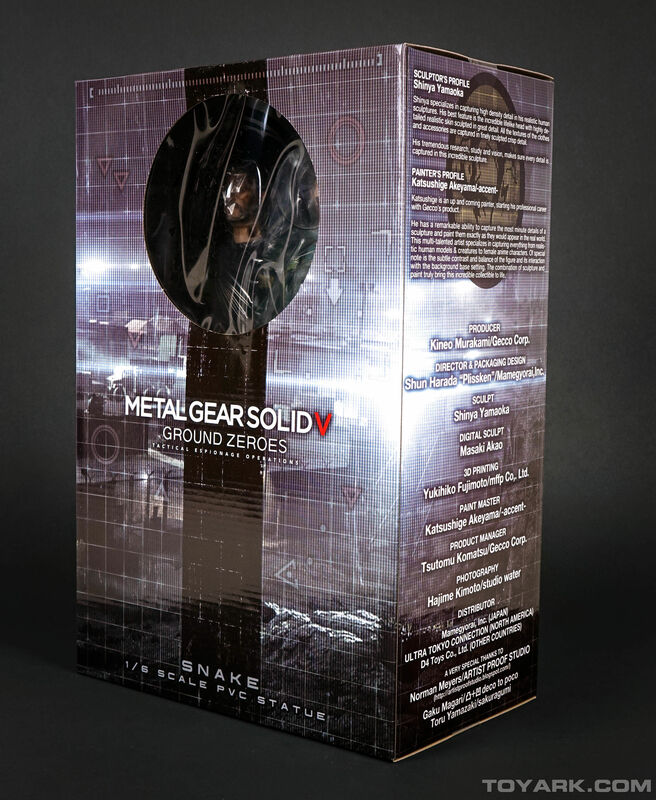 The statue comes packaged in a window box. 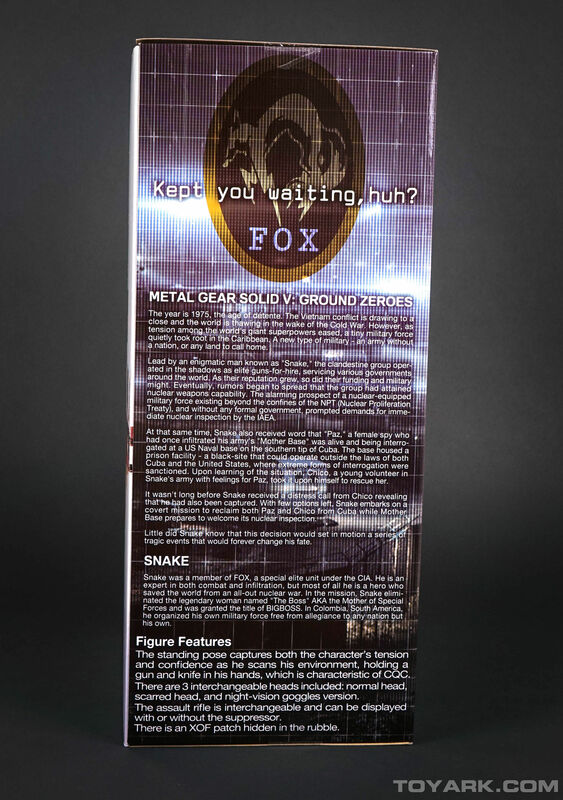 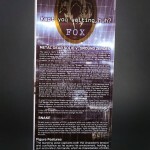 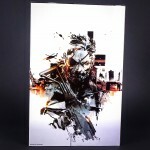 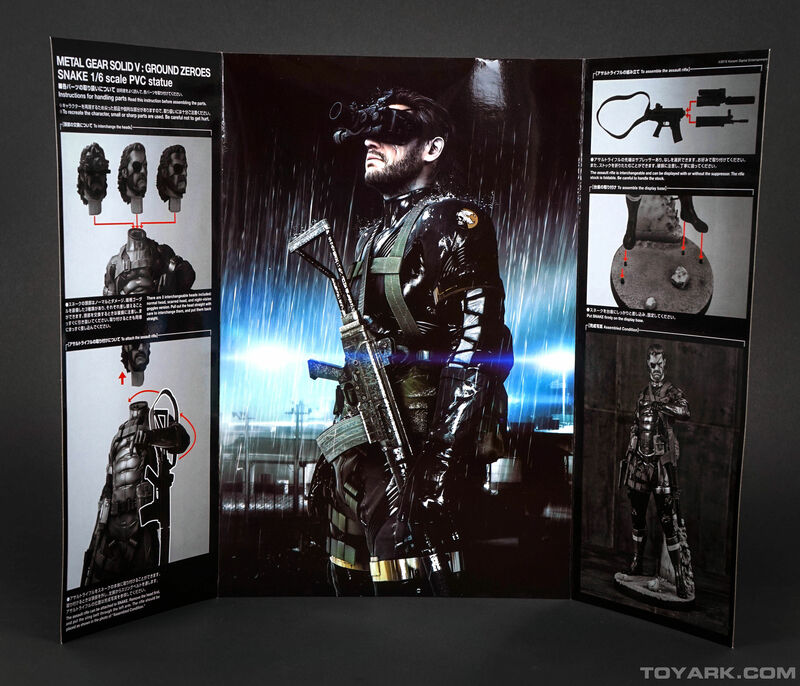 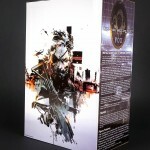 One the side, you can read up on the story of the game, as well as some info on Snake himself. 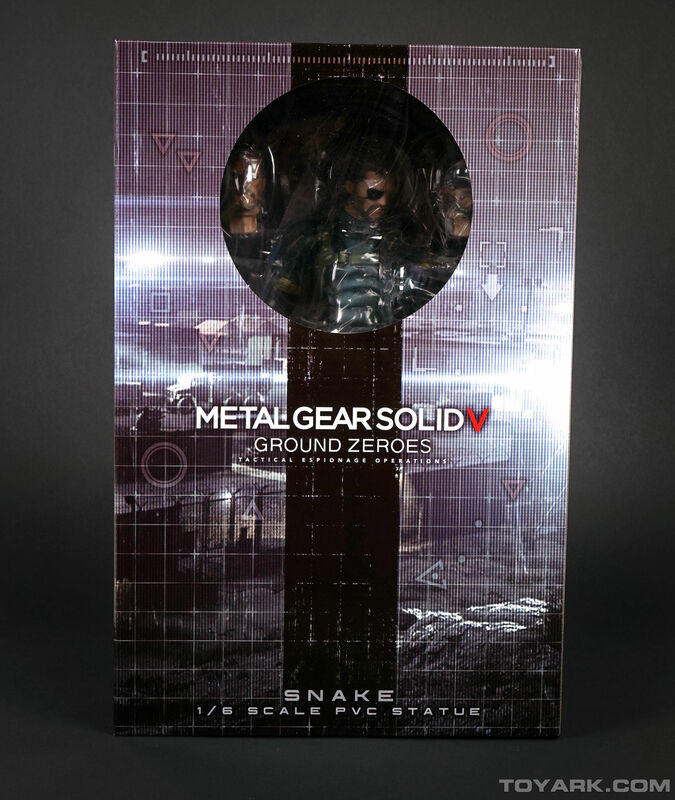 Once opened, the statue is packed on a plastic tray. 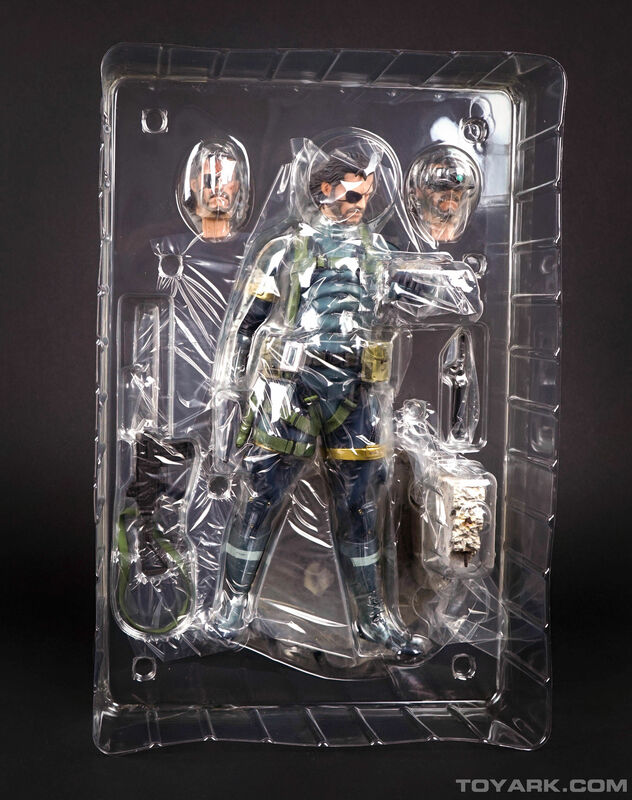 Some very minor assembly is required. 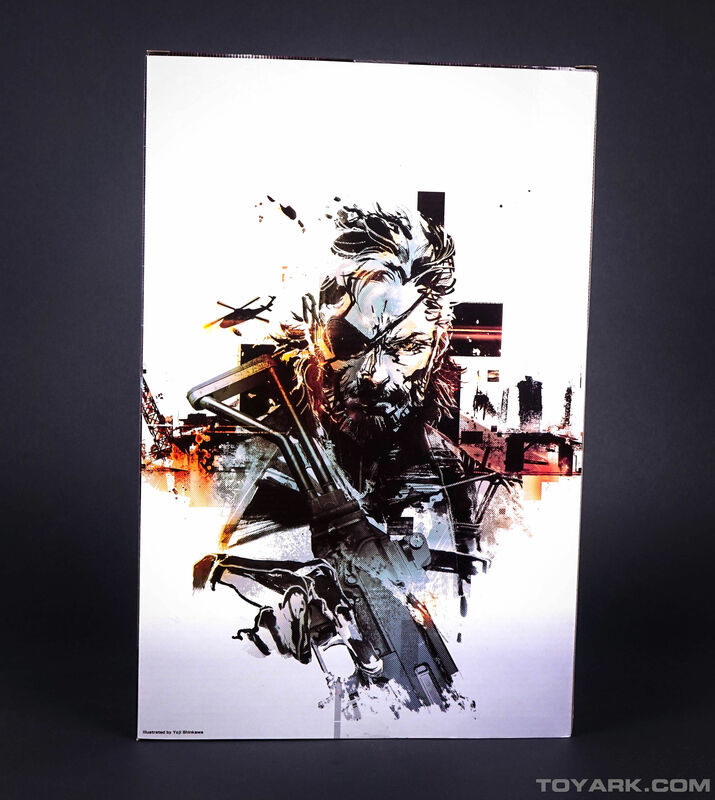 It took less than 2 minutes to open, remove from the plastic and have it display ready.Inside the box you will also find a poster that doubles as assembly instructions and a trading card. 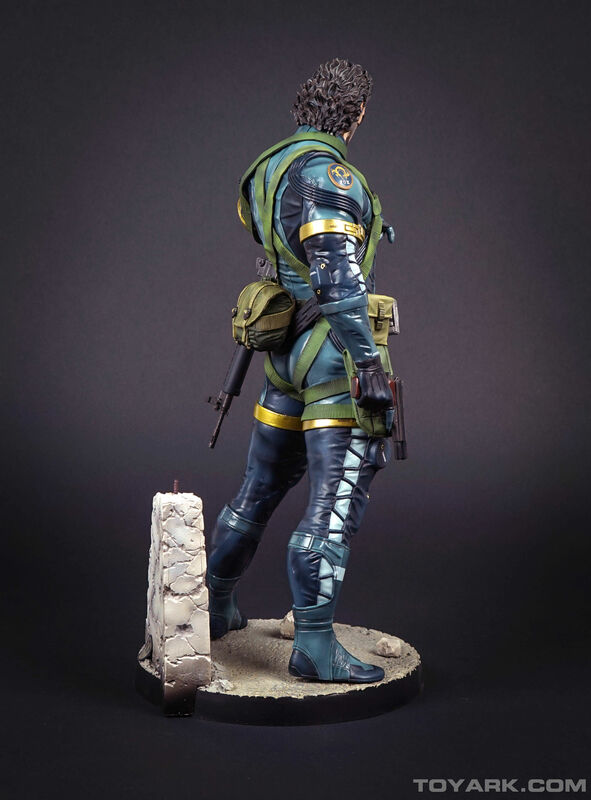 The statue is cast in PVC, and is lightweight but sturdy. 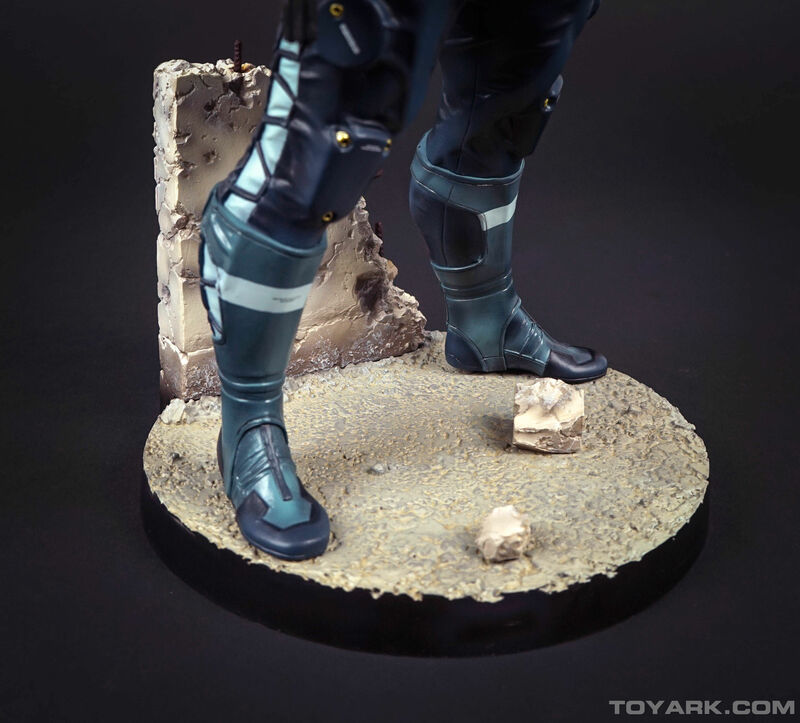 The statue uses pegs to stand on the base. 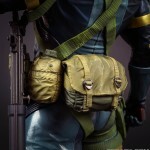 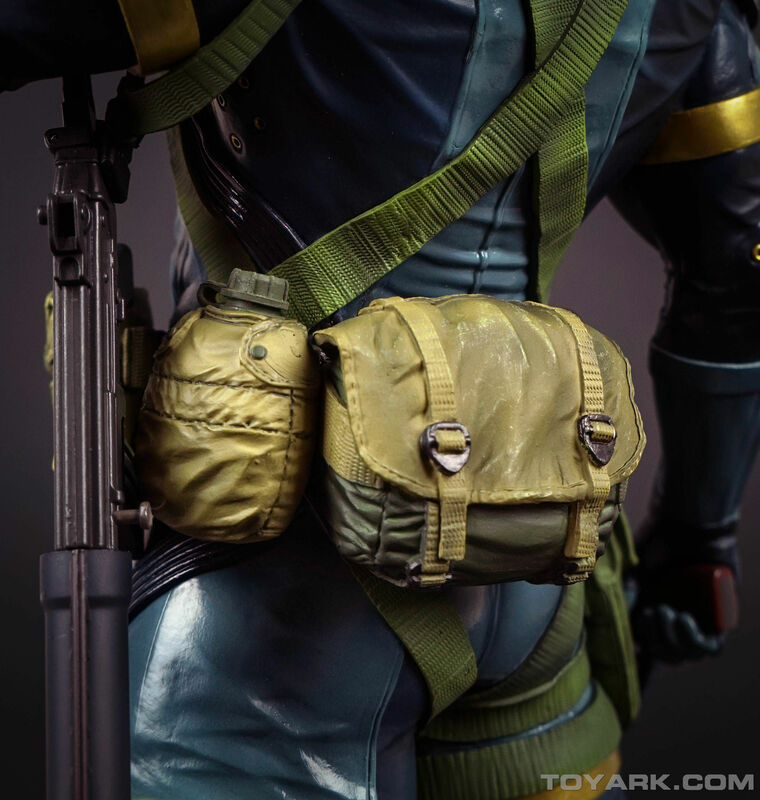 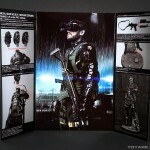 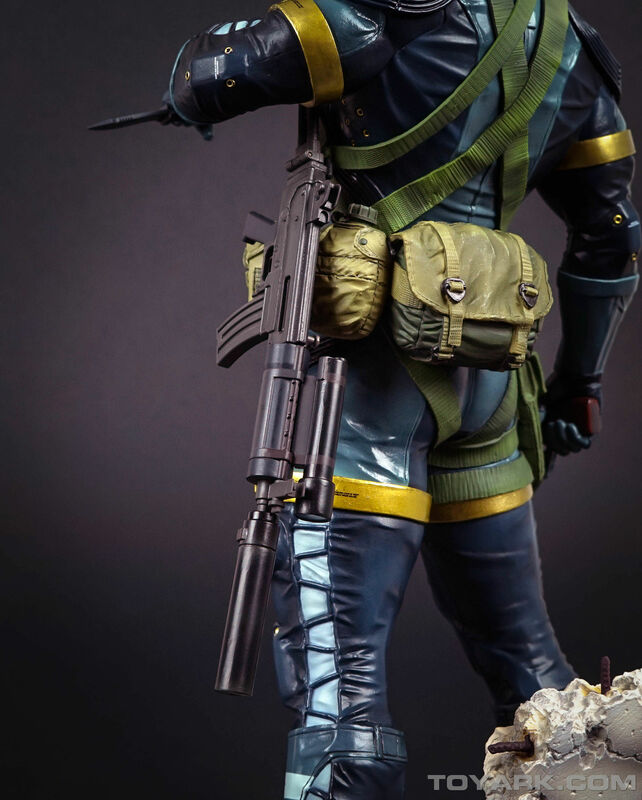 The assault rifle slips over the shoulder and head using a soft vinyl strap. 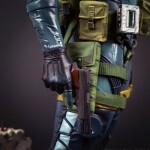 It can be displayed with or without a suppressor as the front end of the gun can slide of to swap the two out. 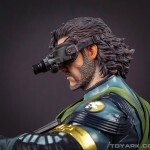 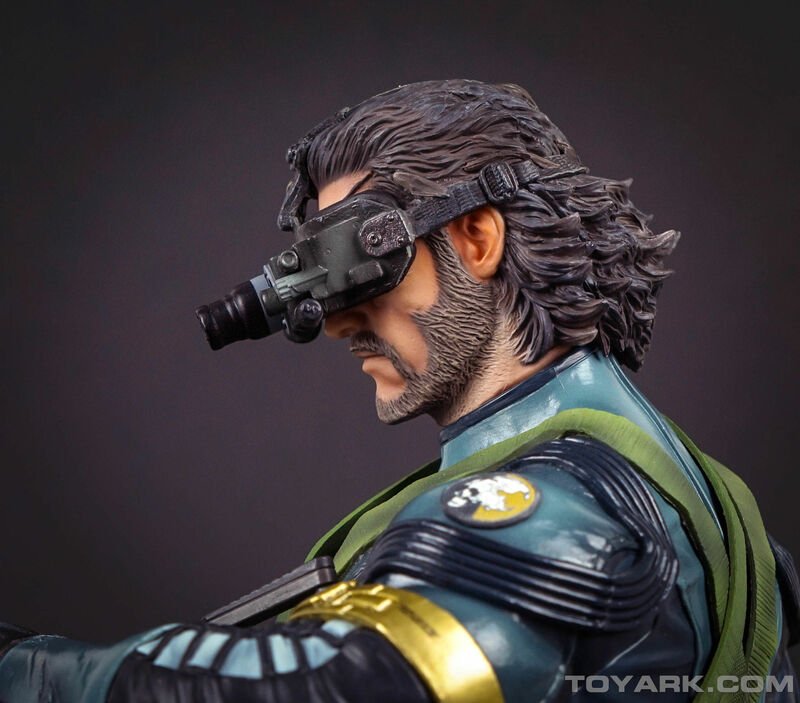 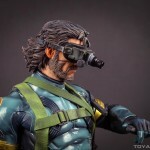 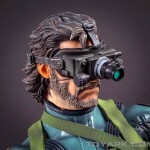 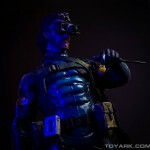 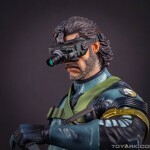 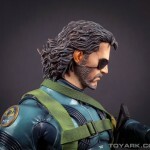 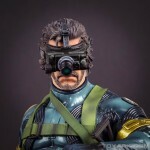 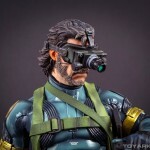 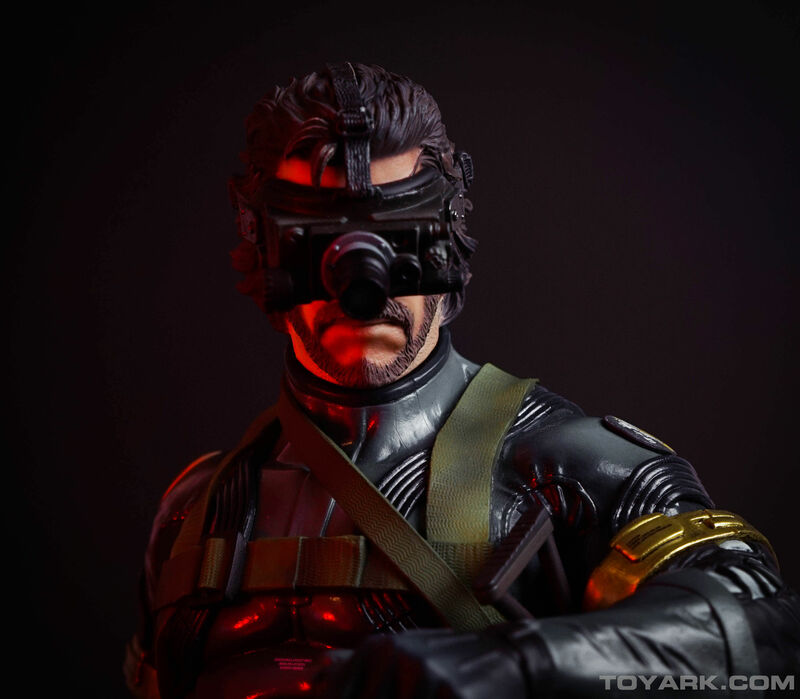 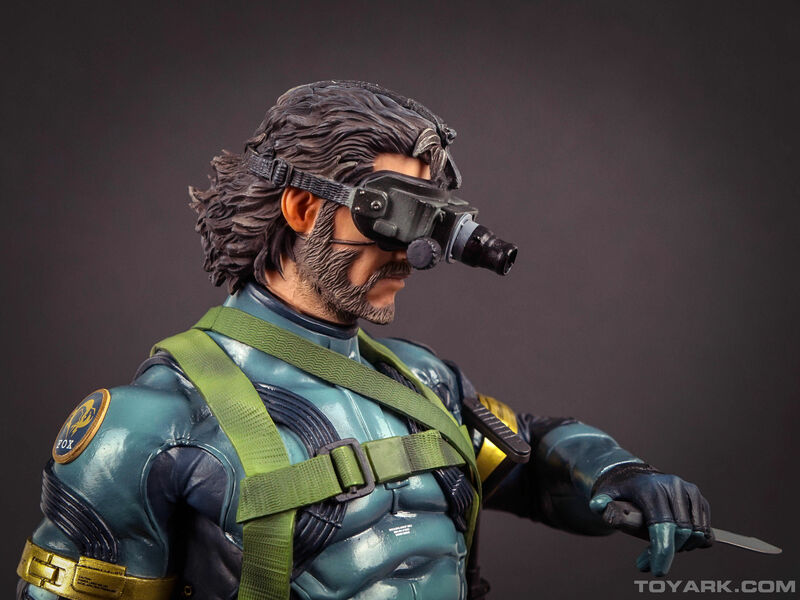 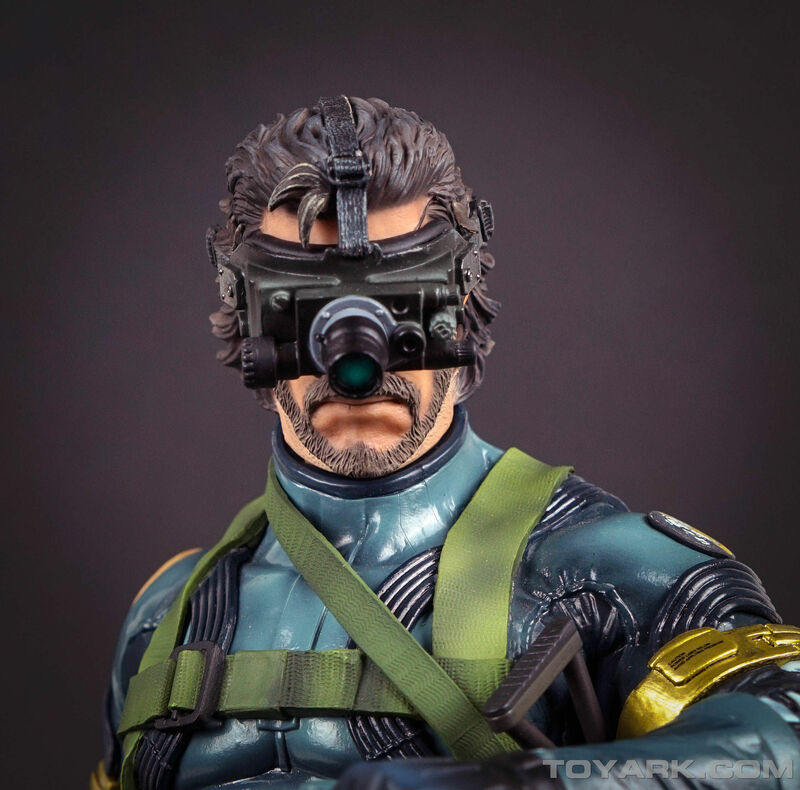 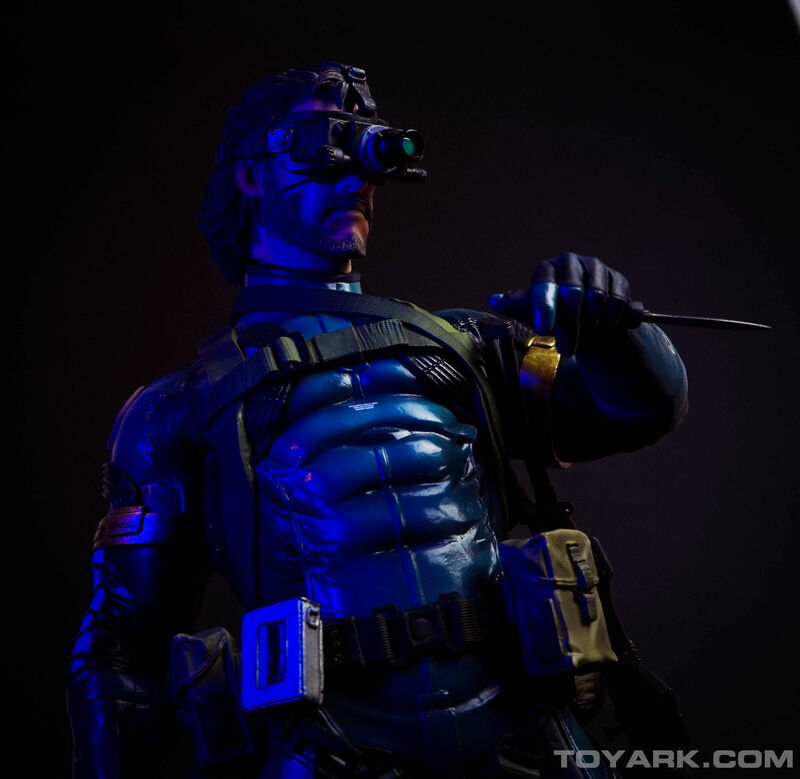 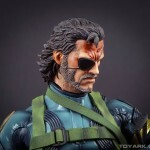 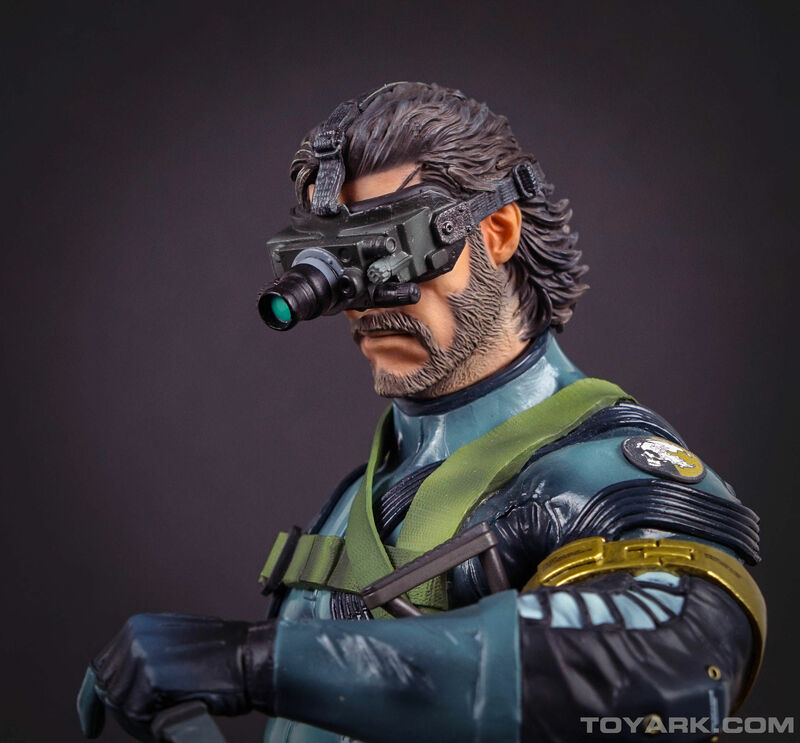 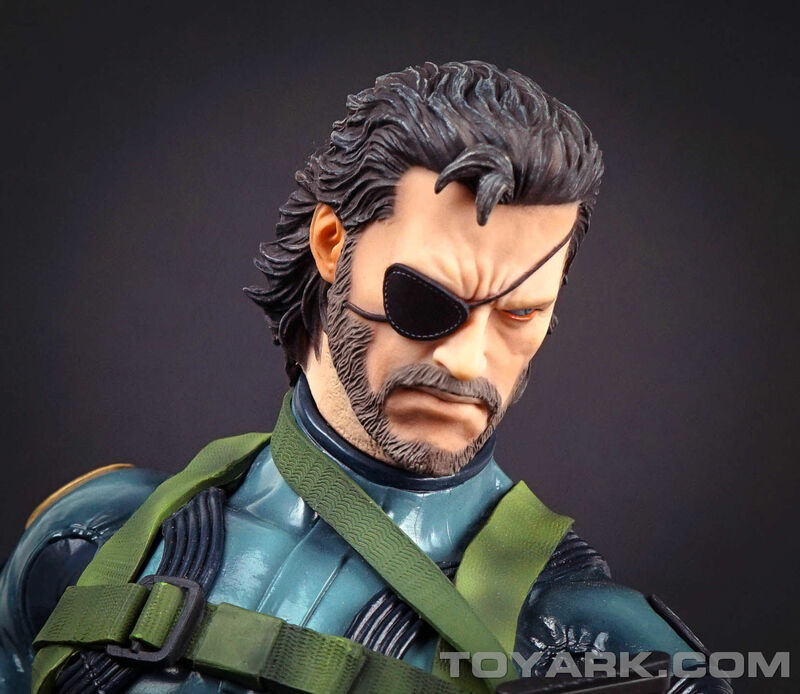 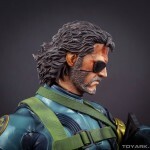 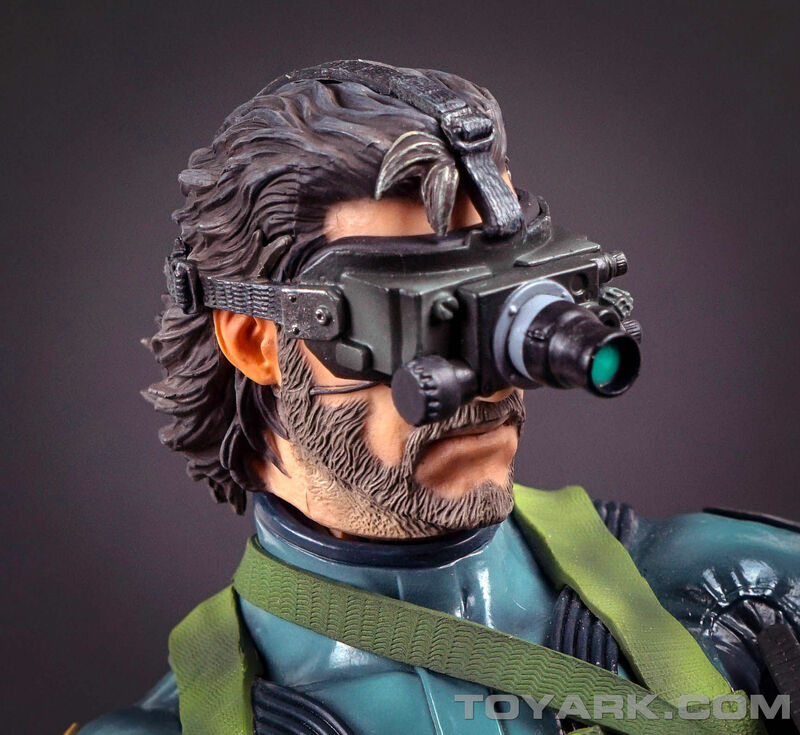 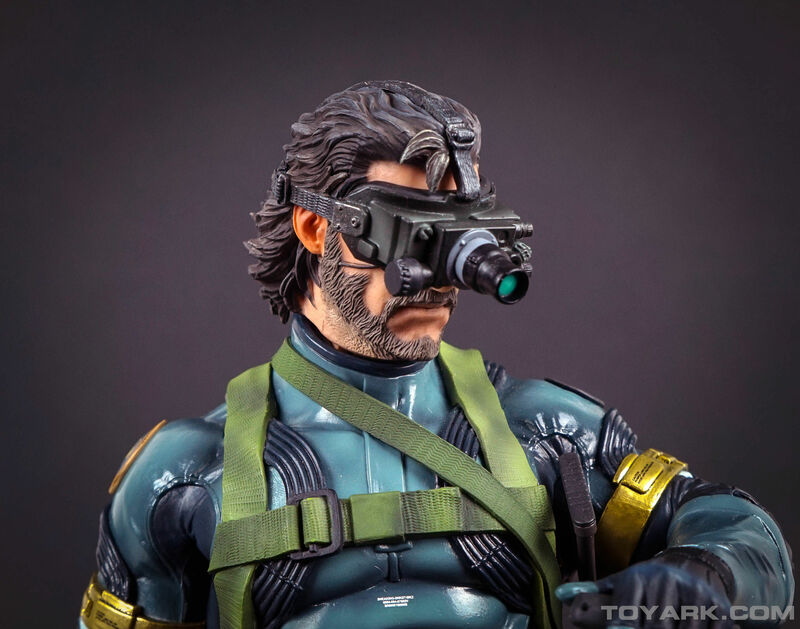 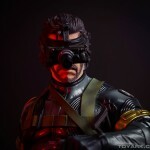 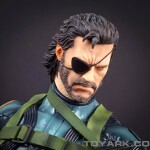 There are three head sculpts included; normal, battle damaged and wearing night vision goggles. 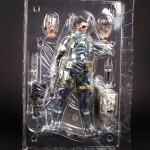 The heads can easily be removed, but sit snugly on the body. 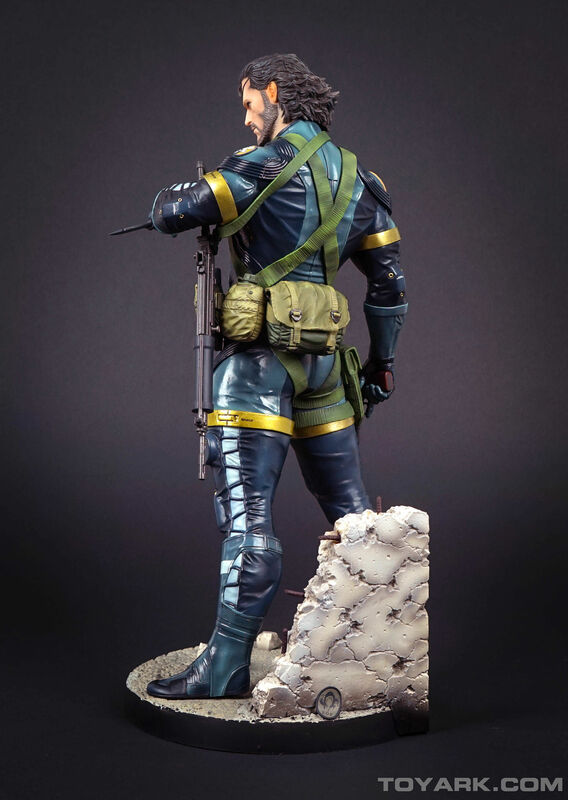 The statue is quite impressive looking. 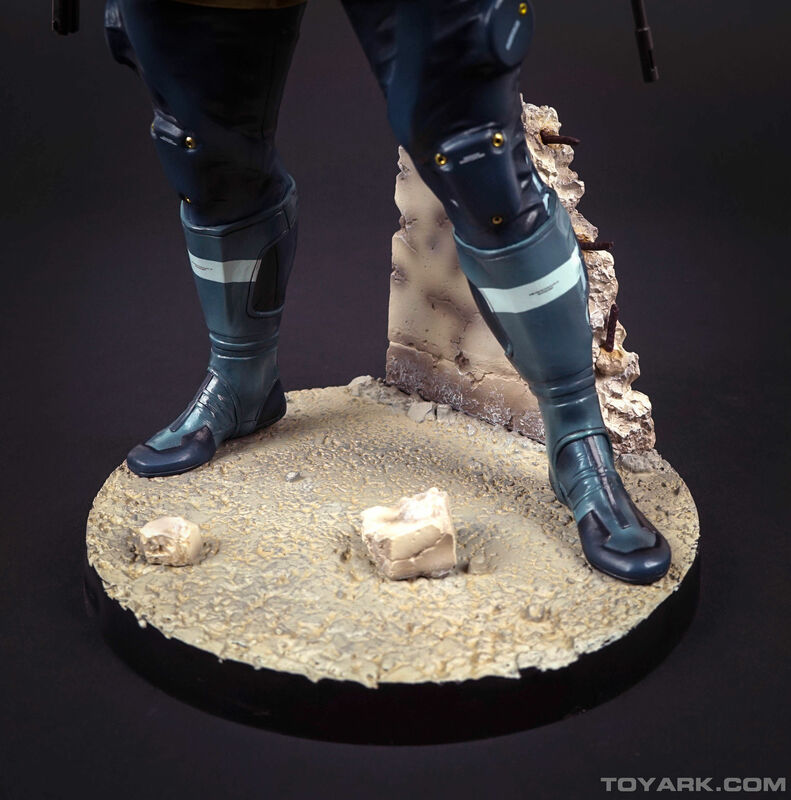 Every single detail is sculpted and painted with care. 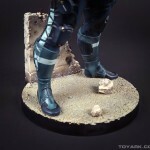 The paint apps are applied with precision and I didn’t notice any smeared or misapplied paint. 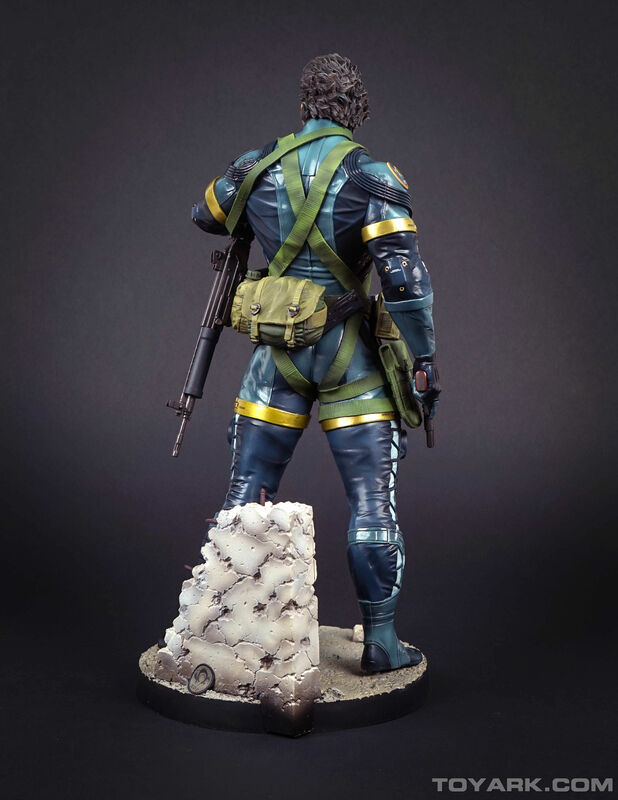 There was no bleed over in color from one area to another. 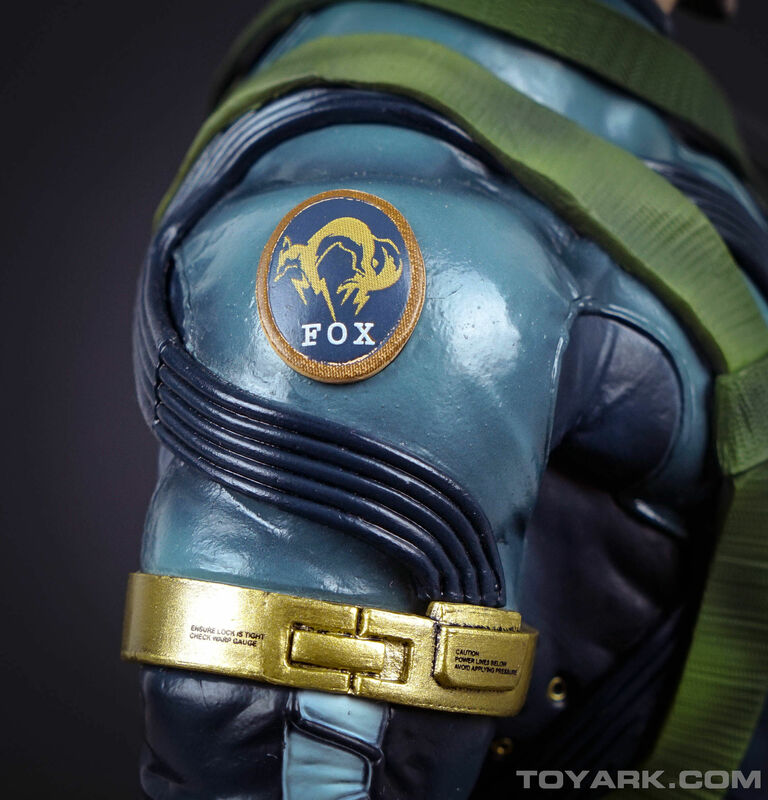 There are some fantastic fine details, such as the hidden XOF patch from the game and the small, yet surprisingly readable, print on different parts of his outfit. There is also a nice sense of different textures throughout. 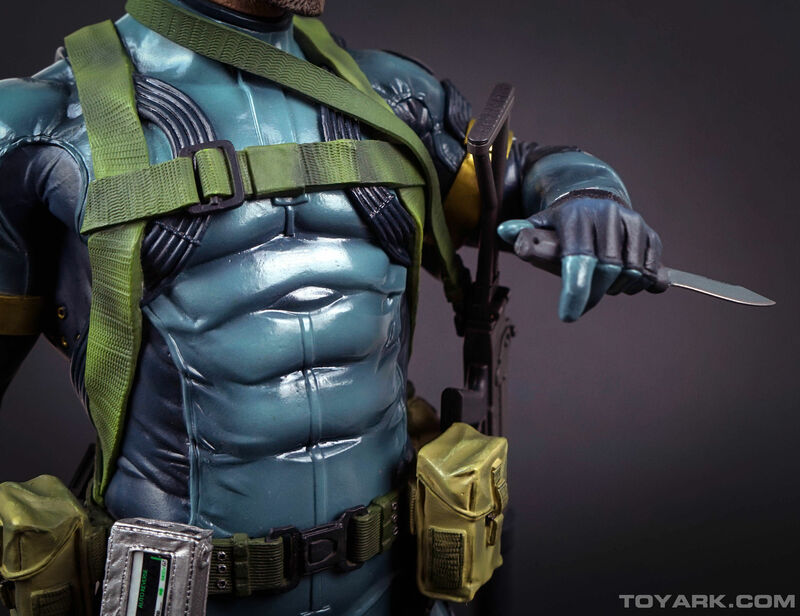 The costume has a nice smooth metallic finish, while things such as straps, skin, and hair all use a more matte paint to complement their sculpted textures. 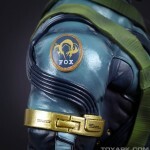 The skin also has a nice slightly translucent look to it, which gives it a very lifelike look. 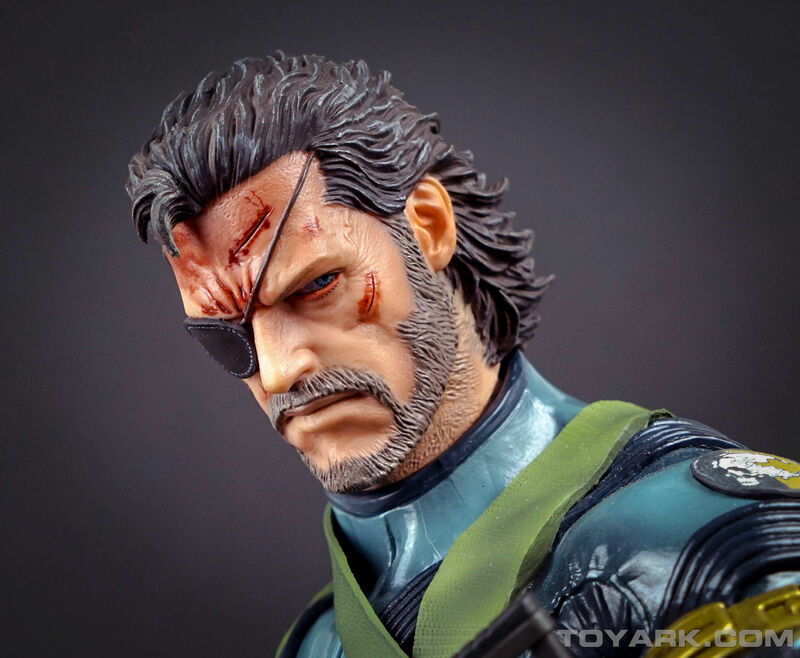 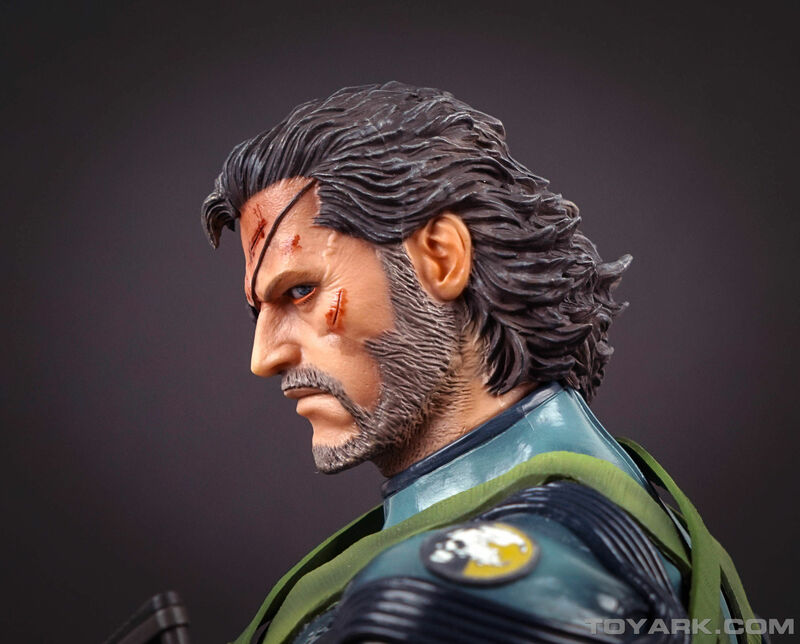 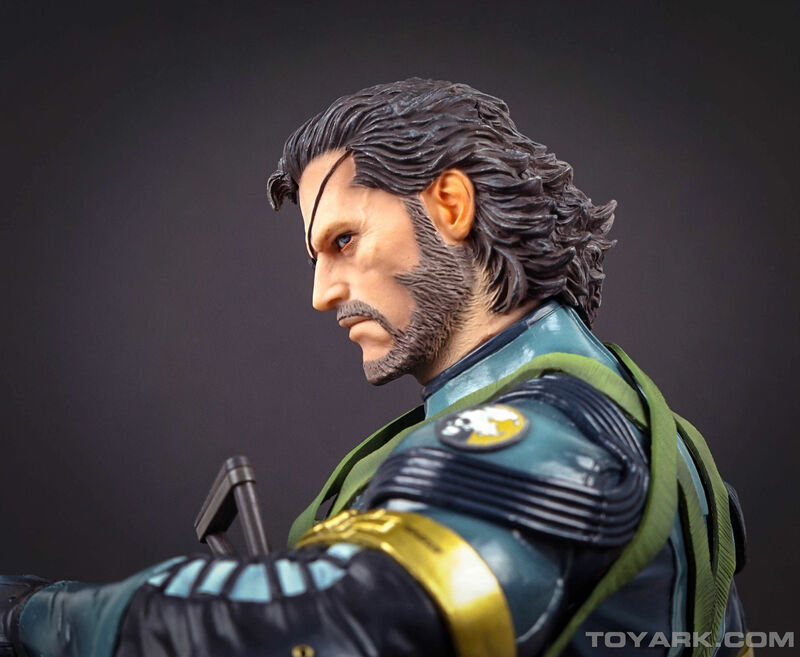 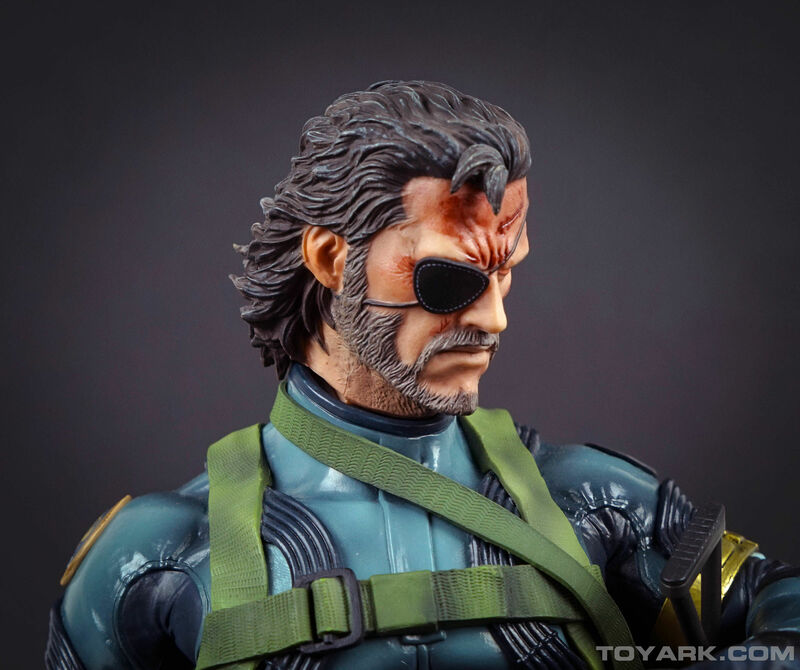 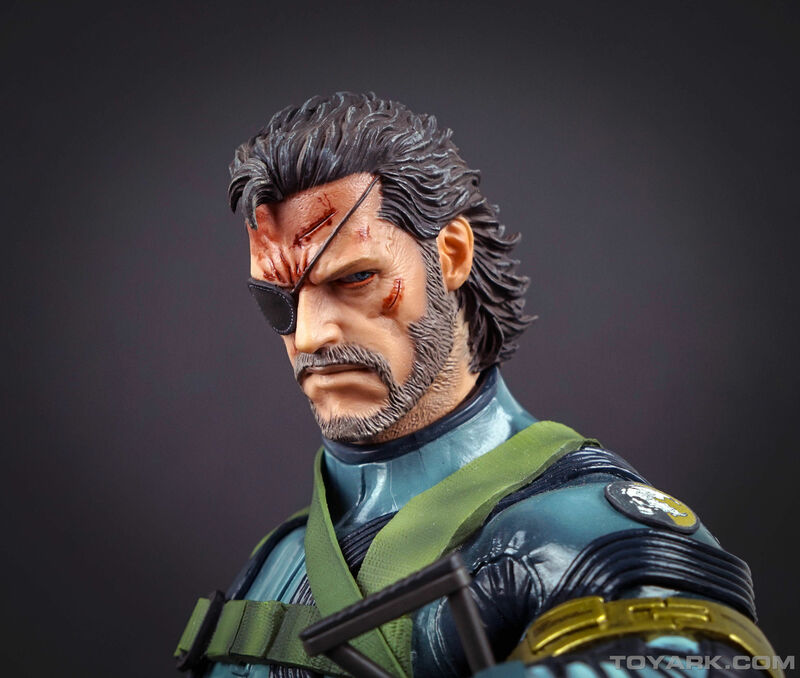 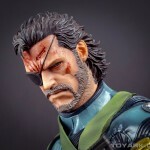 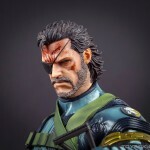 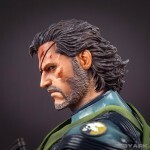 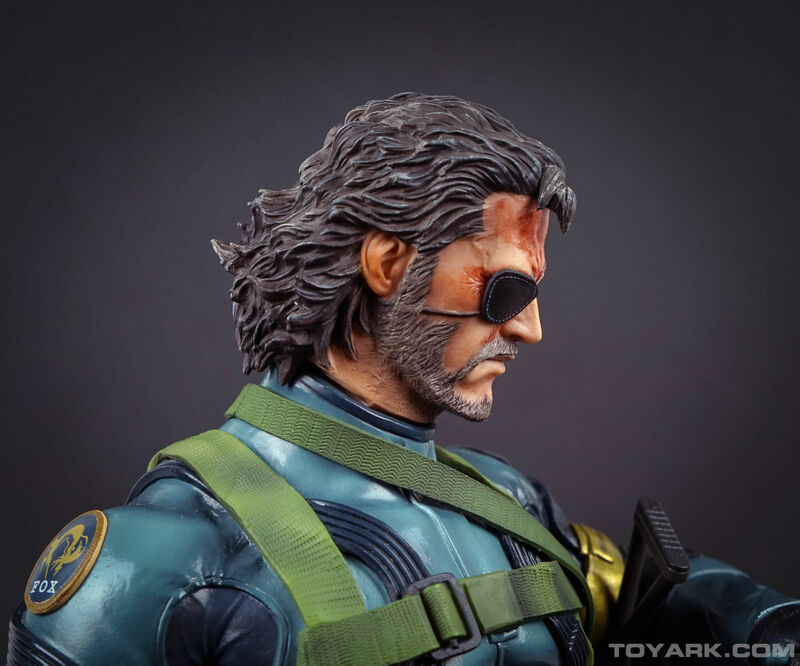 The included head sculpts each have a unique look to them, with the battle damaged/scarred head being especially impressive. 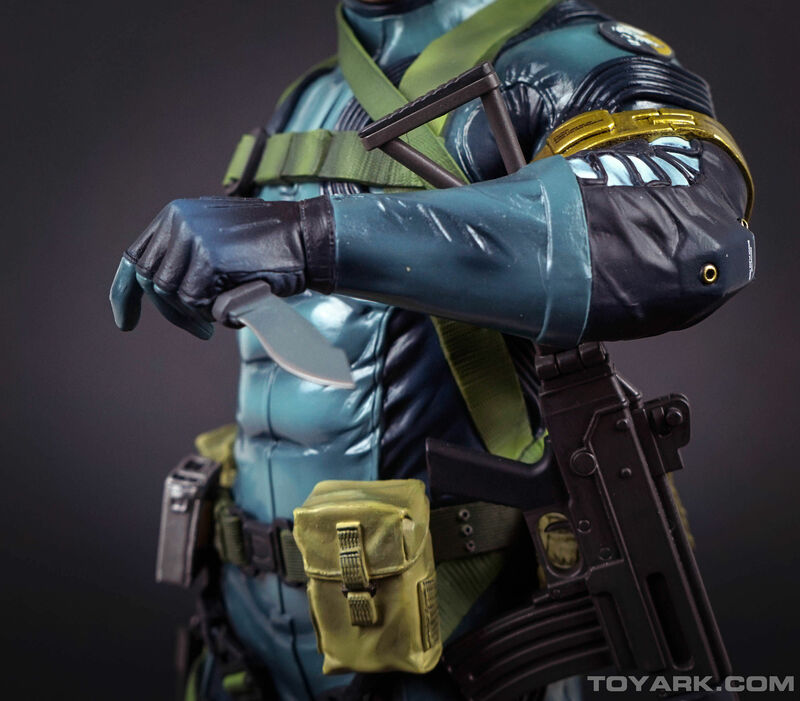 The cuts and appearance of fresh blood is handled with care and wound up being my personal favorite of the three included. 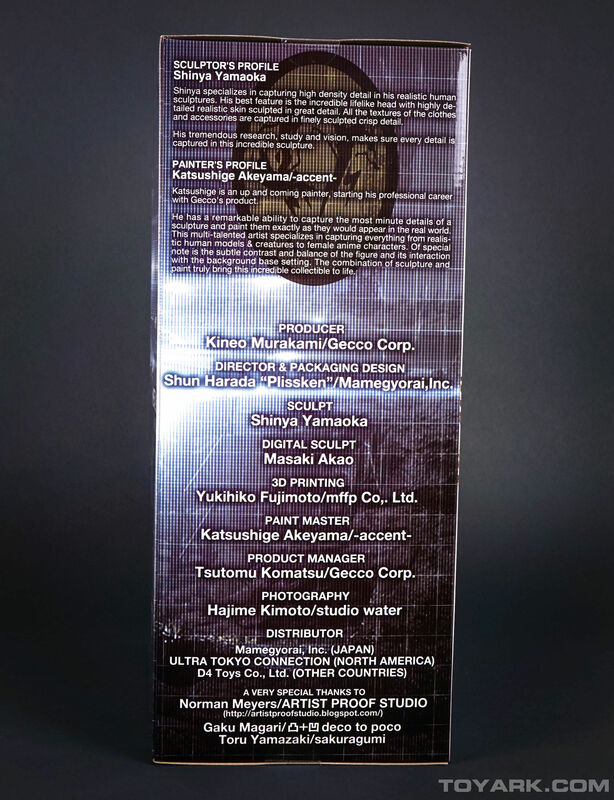 It’s clear the Gecco took great care when creating this statue. 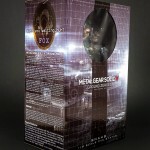 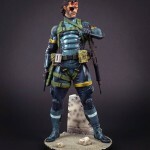 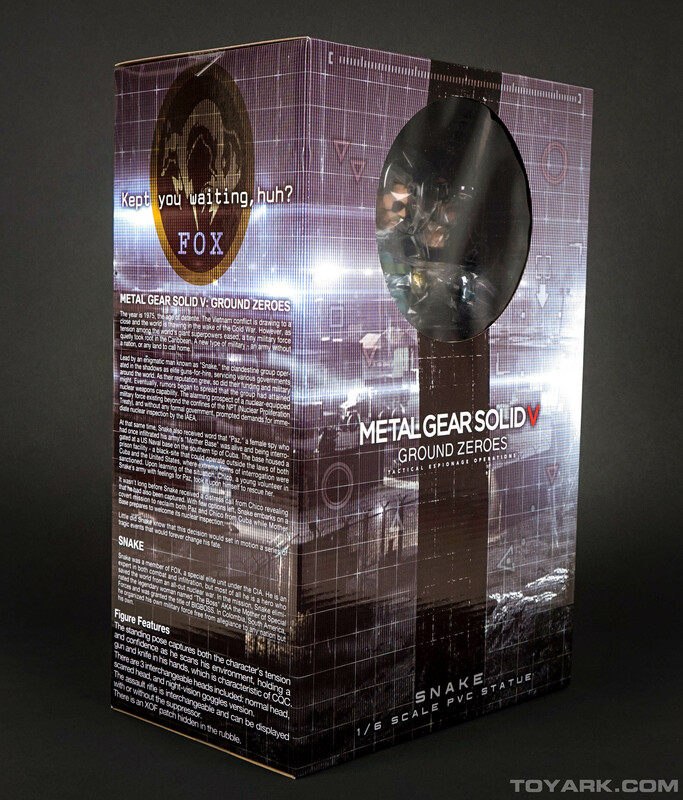 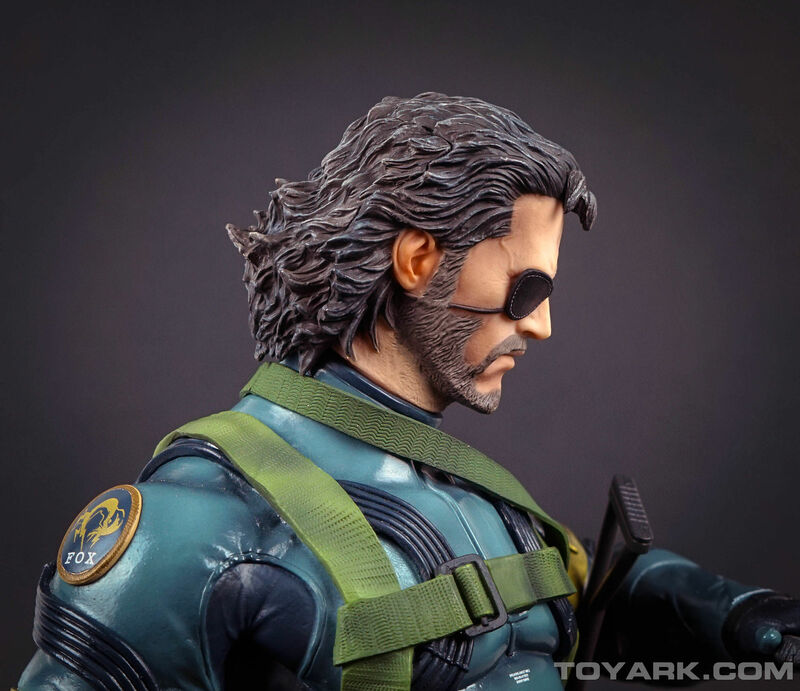 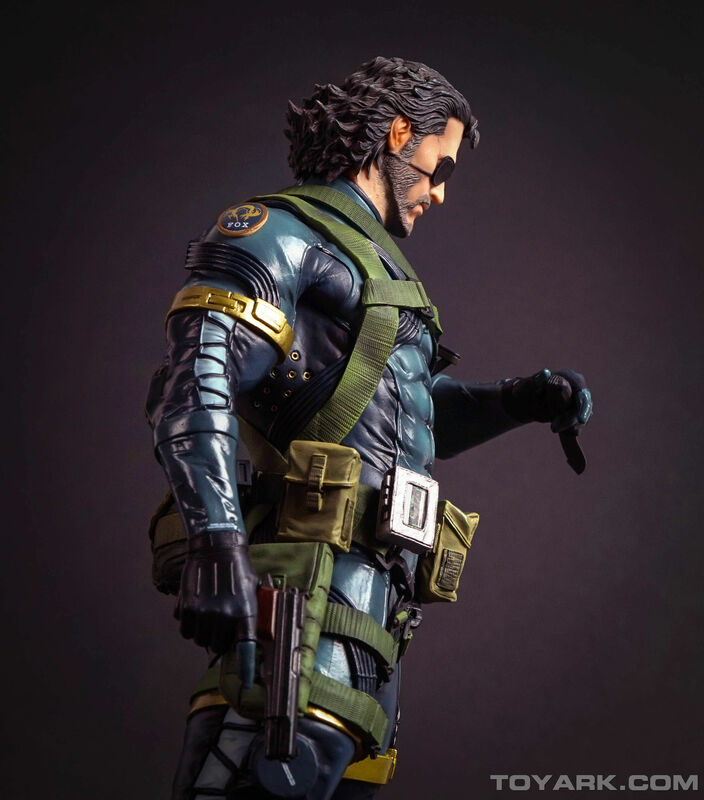 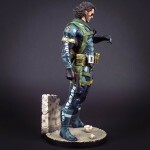 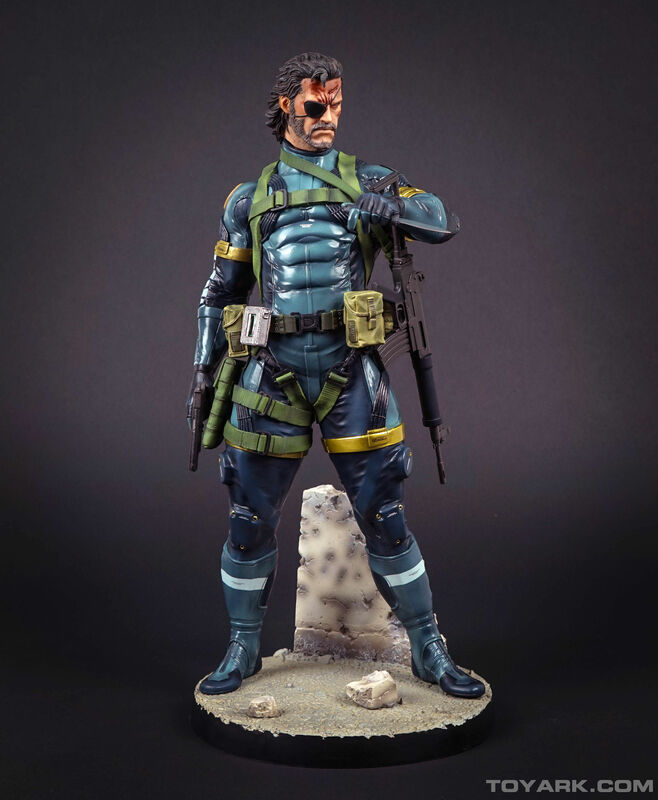 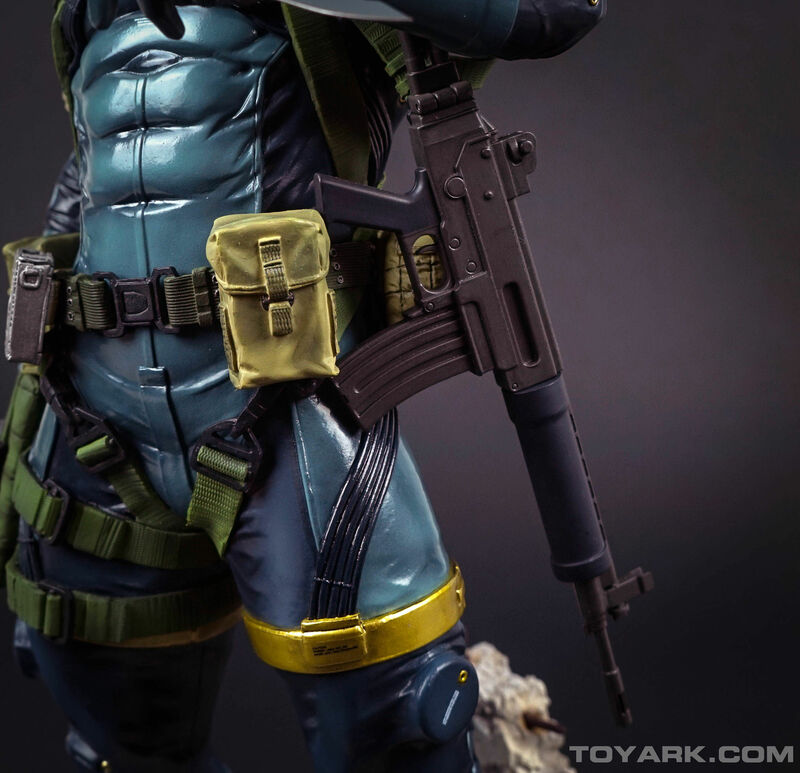 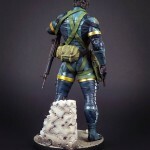 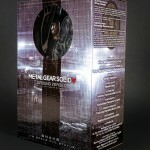 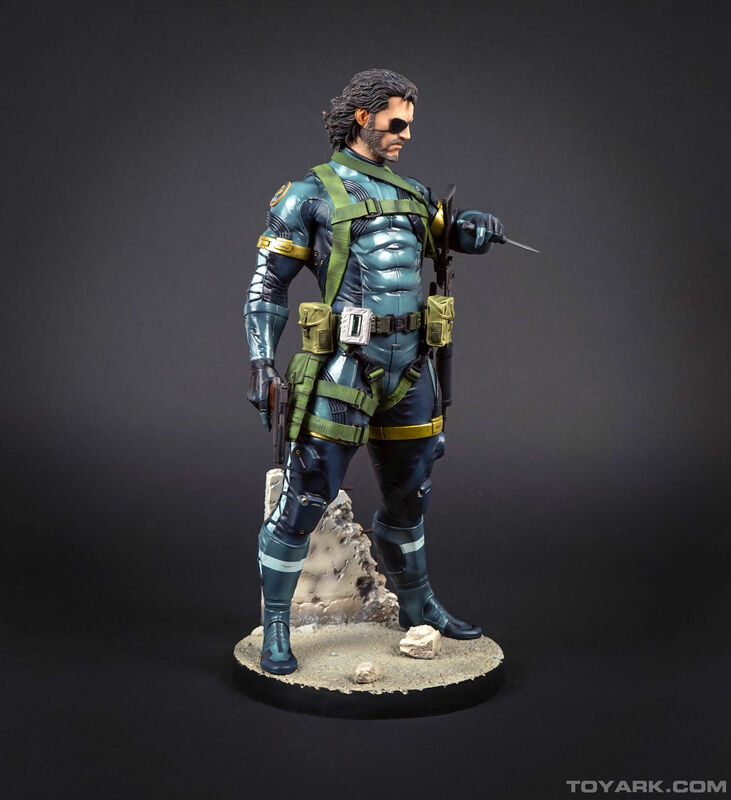 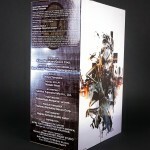 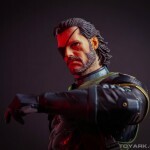 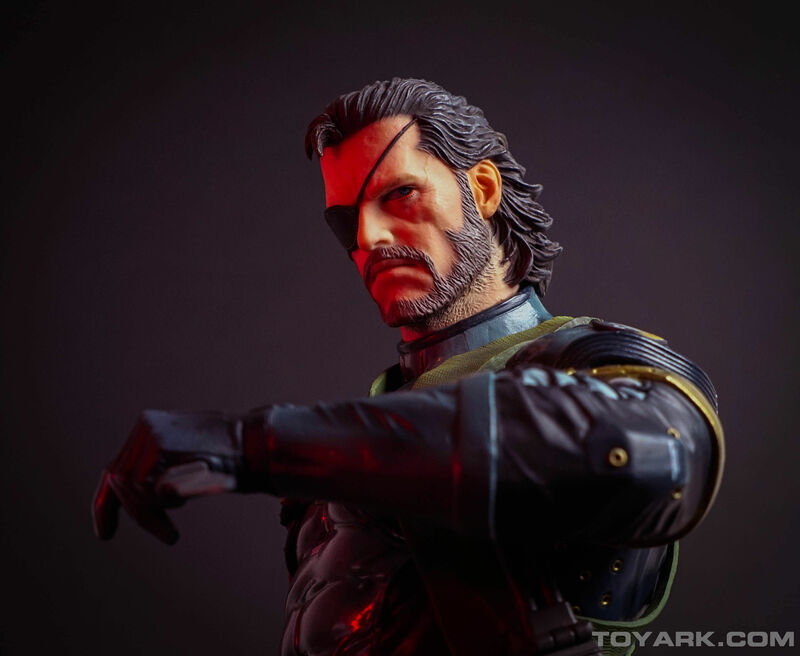 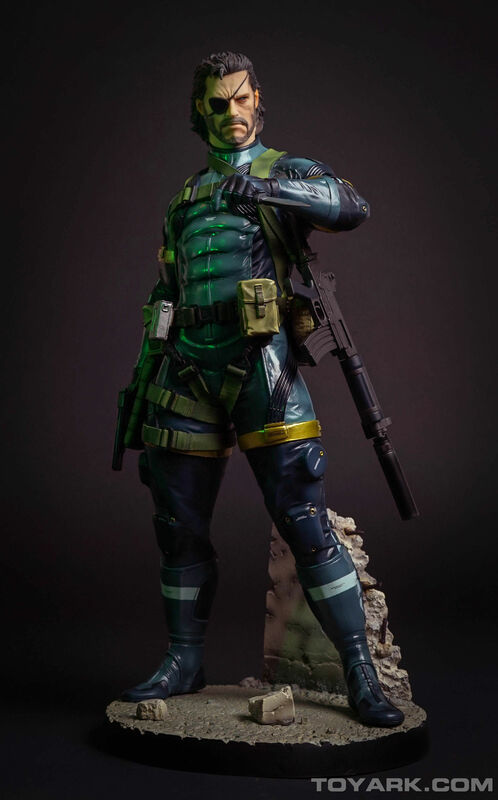 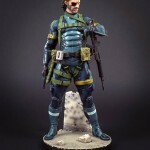 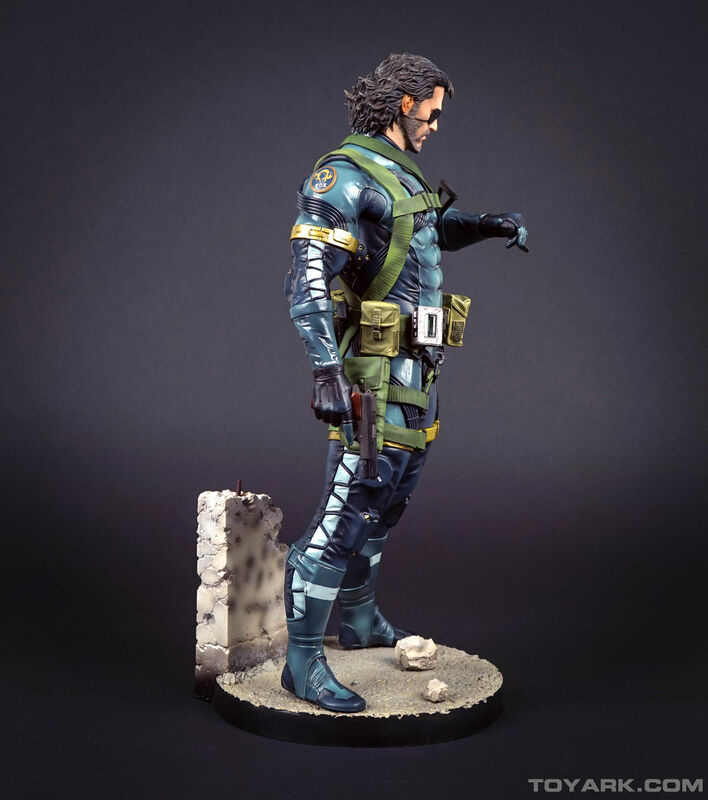 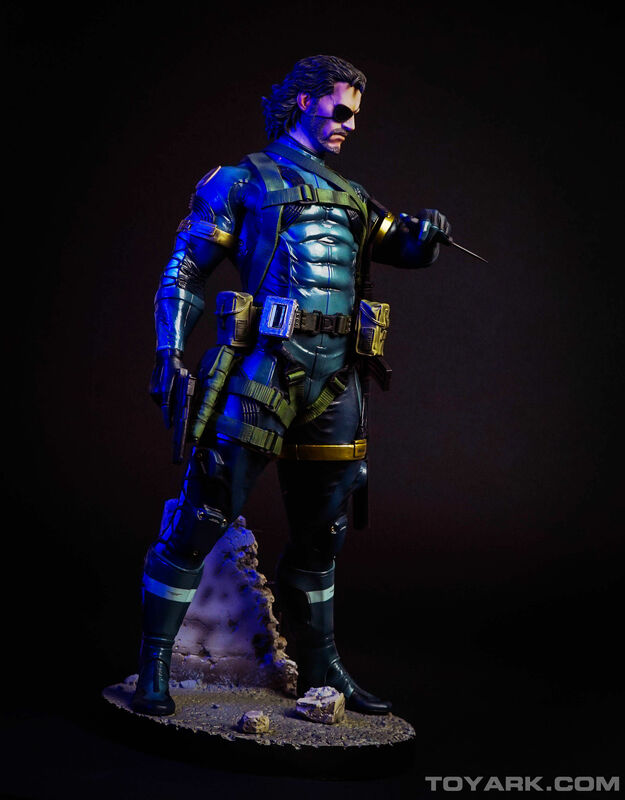 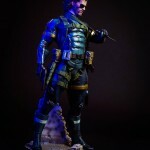 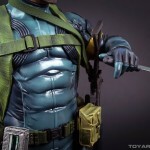 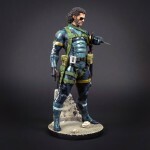 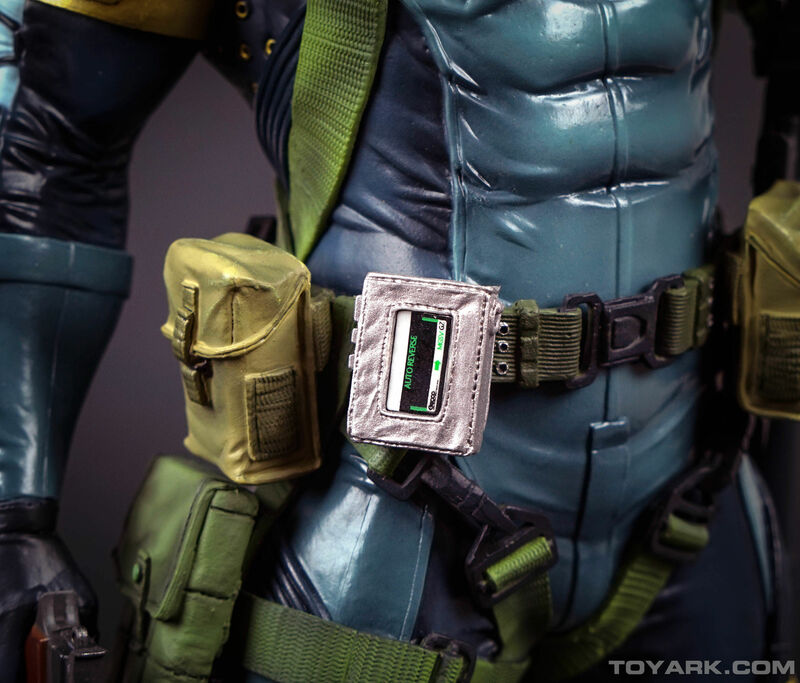 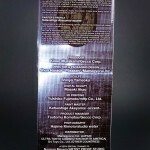 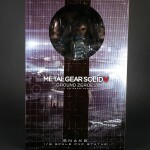 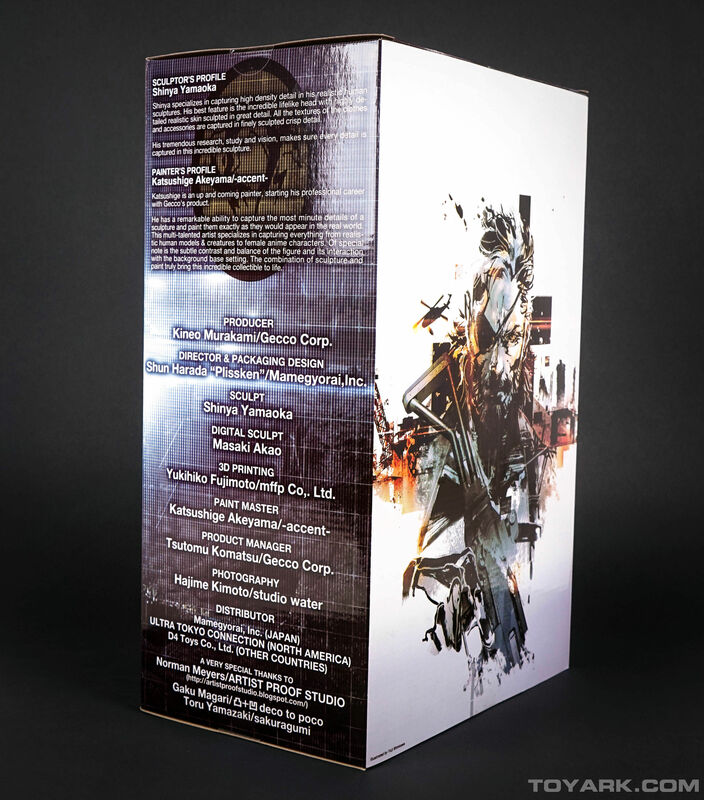 This is a perfect piece for MGS fans who enjoy collecting statues. 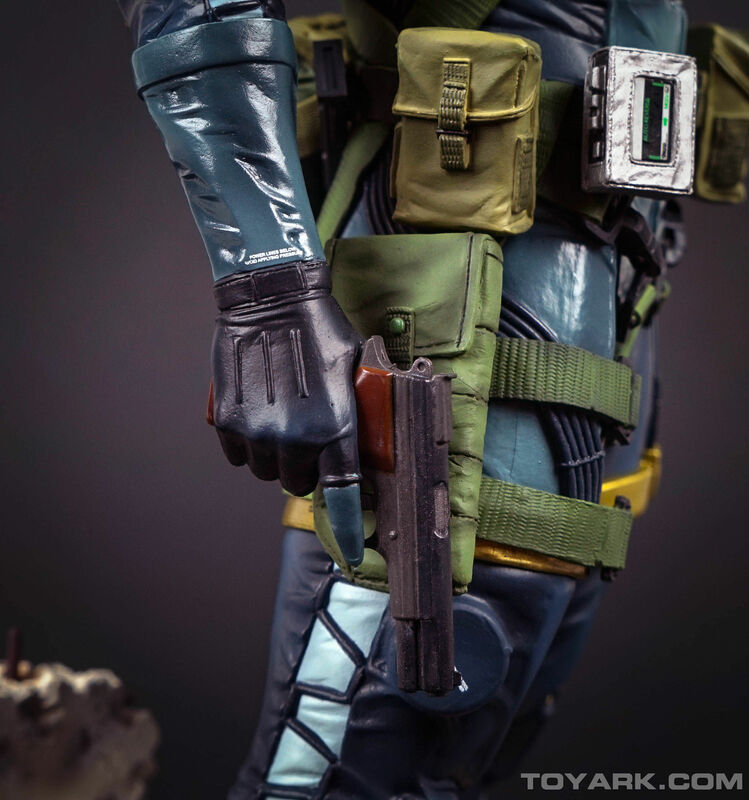 I couldn’t find a single thing I didn’t like about it. 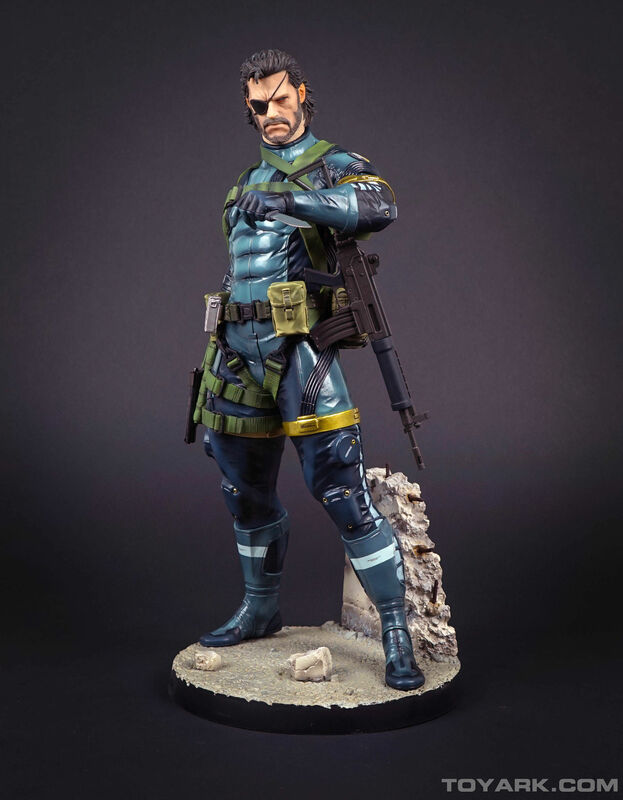 The sculpt is great, the paint apps are very clean and it looks fantastic displayed. 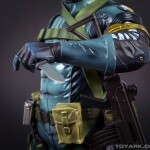 Check out some select images below and the full gallery after that.